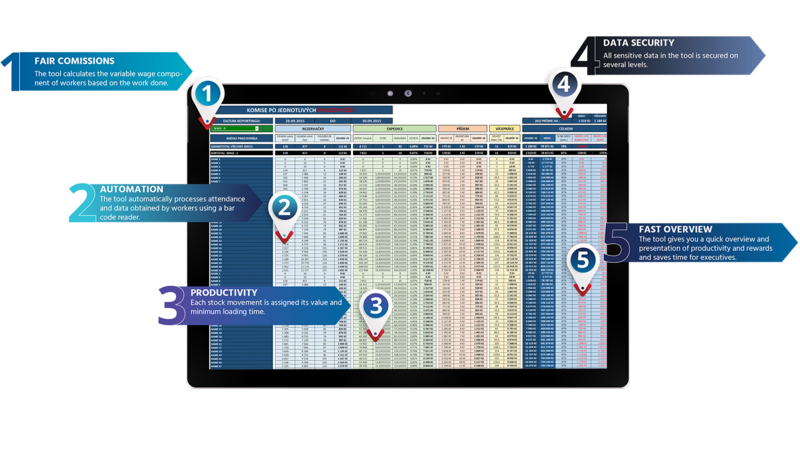 The Commissions Calculation Tool enables automated calculation of commissions based on employee´s attendance and productivity. We developed it for a client with hundreds of employees in warehouse and distribution. 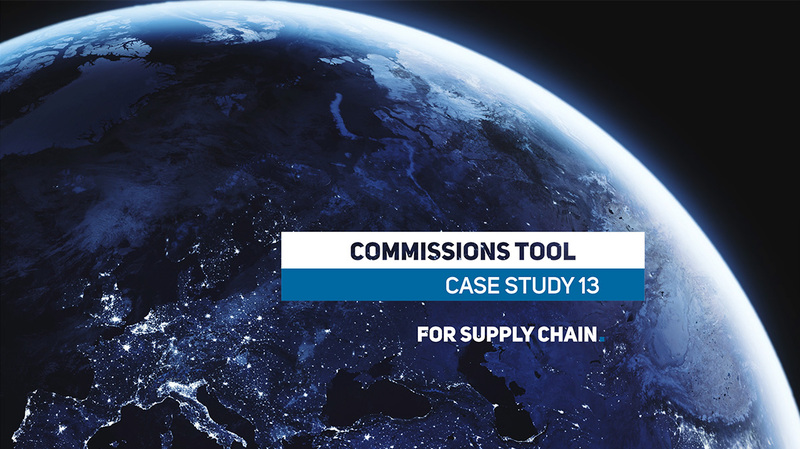 The tool ensures fair calculation of commissions based on an algorithm which takes into account the employee´s performance and a number of other parameters. On many markets companies have been struggling with staff shortages in their warehouses, distribution centres and goods delivery. A company which is fair to its employees in terms of salaries and commissions can stay competitive. Which is exactly what our client wanted. He has a huge distribution centre with hundreds of both internal and external employees. The servicing part of the tool contains a list of employees and their assignment to individual sections of the company. The list is managed by a designated employee. Next there is a list of all possible actions and the amount of remuneration for each item specified by the management. For each day in a given month, data related to attendance and undertaken actions are uploaded to the Tool. Data can be uploaded from warehouse scanners used by employees or manually entered by a designated employee. All sensitive data in the tool is secured on multiple levels. The review section of the Commissions Tool automatically calculates rewards and penalties. The user can display records for each employee or for an entire section of the warehouse. Everything is summarized on one list. The productivity of individual sections and employees can be seen both as a percentage compared to the target and in selected units. The tool allows double approach to the distribution of commissions. Either, according to performance, it will split a specific sum among employees, or it will calculate the reward on the basis of productivity units where their sum represents the total amount of commission. The Automated Commissions Calculation Tool can work independently or as a supplement to data from company´s internal database systems. Tool settings allow for great flexibility and processing of large amounts of data. The specific solution is always tailored to the needs of our clients. Our other solutions related to productivity of warehouses include the Daily Productivity Tracking Application or Warehouse Summary.